When you want your television to blend effortlessly into the home, an AVF TV stand will compliment your furniture beautifully and help you save on much-needed space. Innovative designs mean that you don’t need to compromise on functionality or style. And since our range of AVF television stands come in wall mounted or floor standing options, we’re sure to have a model to suit every home and television. 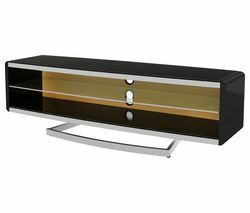 Our AVF TV stand range comes in a variety of wood veneers, as well as in contemporary glass and stunning chrome finishes to make a striking focal point of any room so you’ll be the envy of all your friends when they next come around to visit. AVF prides itself on its quality craftsmanship and all of the brand’s products have been through rigorous testing to ensure the highest standards are met. 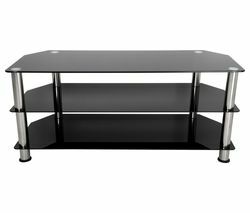 In our AVF television stand range, only the most durable materials are used, which ensures that each unit can support the weight of your television with ease. And because most of our AVF television stands come with additional shelves, you can find a home for all parts of your home entertainment system while keeping control of unsightly wires. Our full range of TV stands also includes Off The Wall TV Stands for our customers who don’t want to attach screens to their walls. And for the perfect movie night in, explore the entire Currys TV range to complete the experience.